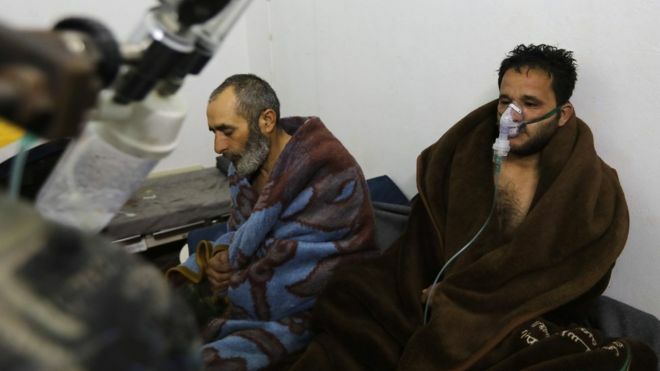 The global chemical weapons watchdog has said chlorine is likely to have been used in an attack on a rebel-held town in northern Syria in February. The Organisation for the Prohibition of Chemical Weapons (OPCW) found chlorine had been "released from cylinders by mechanical impact" in Saraqeb. It did not assign blame for the incident, in line with its mandate. Medics and activists said at the time that chlorine-filled bombs had been dropped by a government helicopter.